With the stylish accessory, you can charge your compatible Galaxy smartphones, and other Qi-enabled devices without the cable, and without the need to plug your device in to a wall charger or USB port. Qi Standard compatible with Nexus, Samsung, LG, HTC smartphones, and more. None-compatible devices can use either charging case (iPhone) or wireless charging receiver (Android / Windows Phone). LED indicates charging status: white for connected with power, flashing white/green means the device is charging, automatically stop charging when battery is full. Compact size, takes up minimum space on your desk, easy to take and travel. 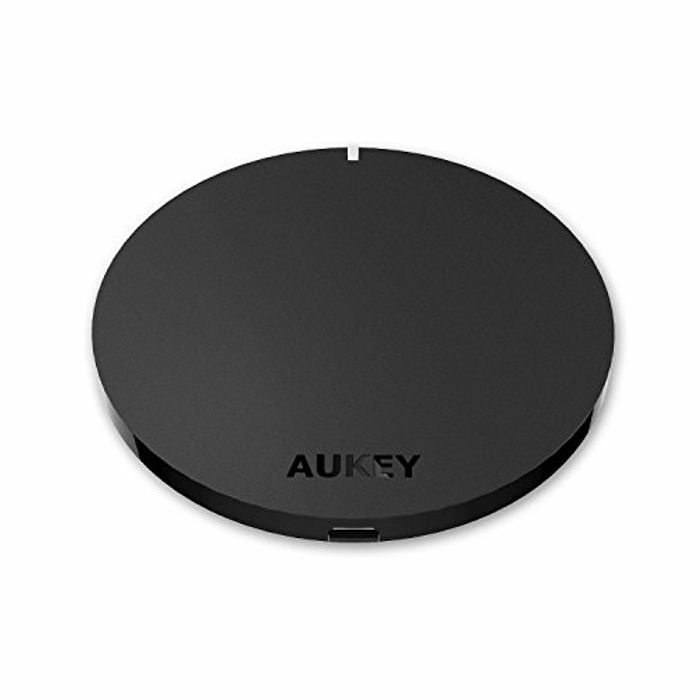 Package Contents:AUKEY Qi Wireless Charging Pad, User Manual, Warranty card.